So Spring is almost here but for us in the UK Spring is no guarantee of sun or warmth. We are still wearing coats, the days are still a bit dreary and it rains a lot. 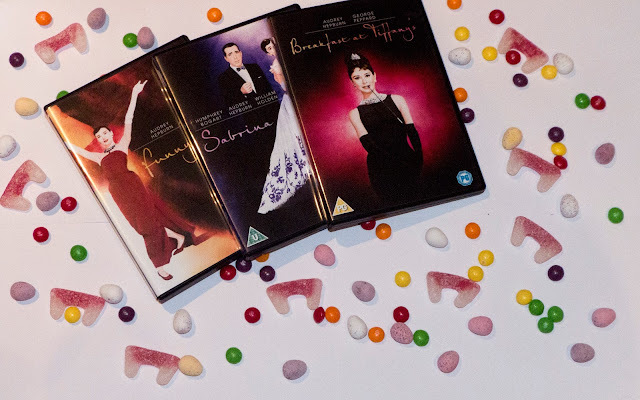 So there is still the need for the occasional night in, so today I'm sharing my essentials for the ultimate movie night. As much as I love having movie nights with Dan it is fun having a chilled night in with my girls. Pizza and movie nights kind of go hand in hand. There is nothing better than having a giant Domino's and watching films you love. Although you've just eaten enough pizza to fill a truck it's still important to have snacks. I'm talking: chocolate, sweets, biscuits, popcorn, you know all those super healthy foods. Not enough alcohol so that you are being sick down the loo but having a few ciders or cocktails is always a nice treat for a movie night. It's always fun putting on face masks with your friends, cue a lot of selfies and snapchats. Well, duh. I either like having a film night theme e.g. Disney Films Night or I like to watch a movie of each genre to mix things up a little. So those are my essentials for the ultimate movie night. Do you like having movie nights? What are your essentials?